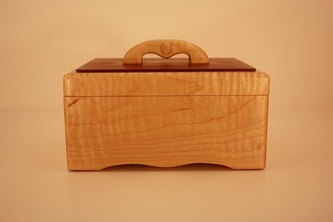 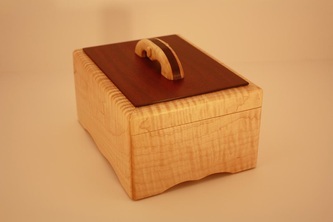 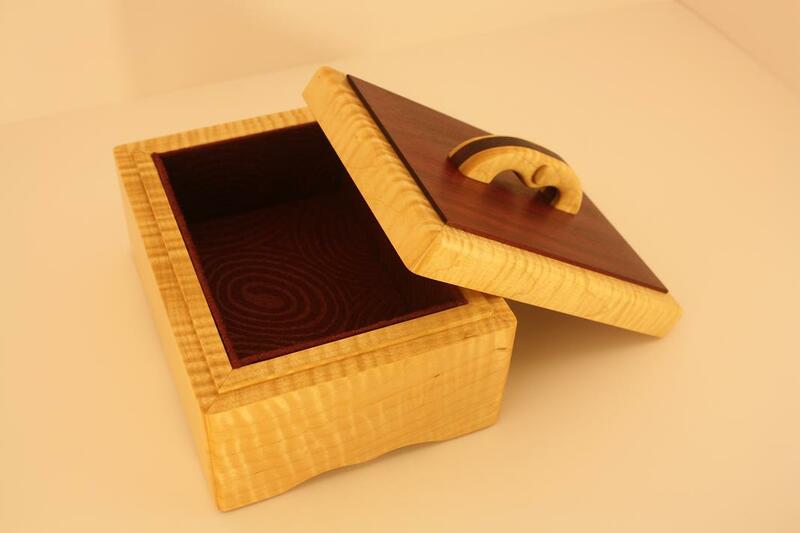 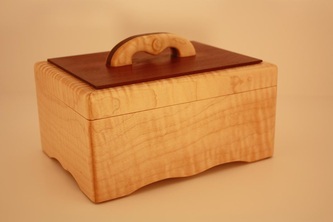 This elegant small keepsake box was made form solid stock curly maple. 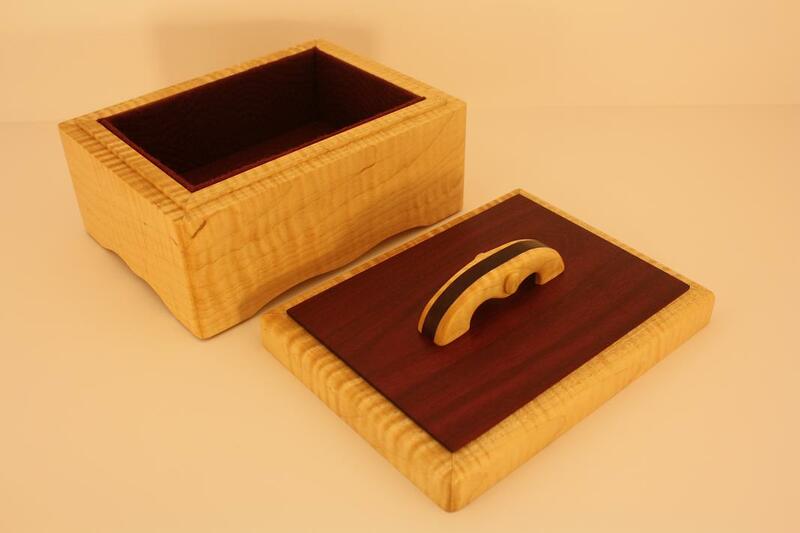 The accent wood is purple heart and the handle was carved to accentuate the scalloped bottom. Dimensions 7" x 4" x 4 1/2"